The Education Customer Service Survey assists education support agencies in gathering information from service users regarding the quality of service delivered by that agency. 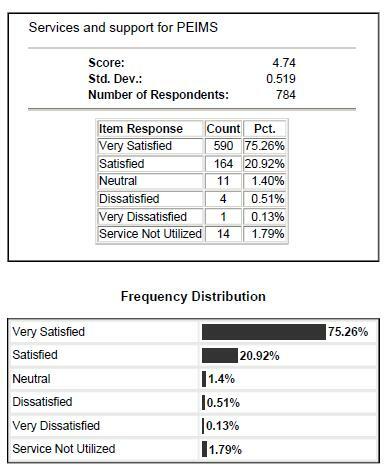 The Survey is highly customizable and report breakdowns provide agency-specific data. Since 2005, the Texas Regional Education Service Centers has contracted with the Institute for Organizational Excellence at The University of Texas at Austin to conduct a survey that is sent to representatives of all school districts and charter schools in Texas. 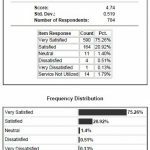 Survey respondents provided numerous comments, suggestions, and compliments for the work conducted by the various regional Education Service Centers (ESCs). This customized survey solicits service user feedback through qualitative and quantitative items. Full reports include participation information, quantitative item results, frequency distributions and item summaries. Summary reports include and qualitative thematic areas and overtime comparisons as well as a brief discussion of survey methodology, instrumentation, and administration. Data is also broken down by public and private schools.